|| awesome || thanks|| digital vihya…. Thank Sakshi Hope I will face these questions in the interview. Very nice interview question. Very useful for interviews. Thanks everyone for your feedback. 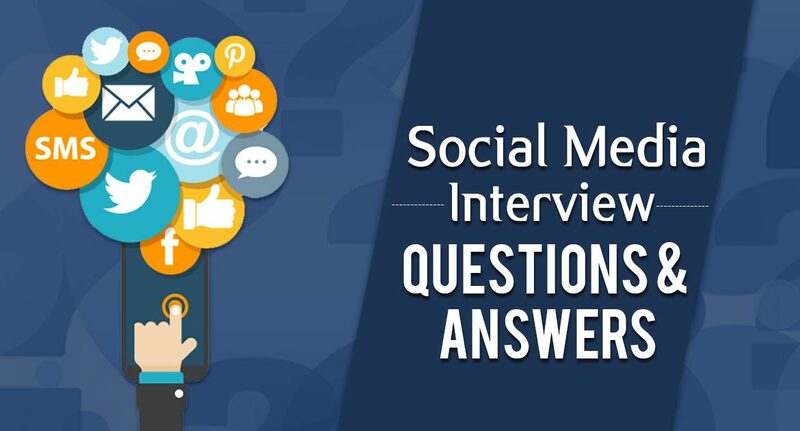 Hope these interview questions would prepare you for social media Jobs. This is really rich content of Interview questions and answers.I must say that many things i really don’t know like edgerank of facebook and all.This really open my eyes that still i have to learn a lot.Thanks for sharing quality work here. Very well written, helpful for those who are afraid in interview for digital marketing. Also very helpful for those who operating online business. any book of social media mcq plz tell? Earlier, I found this question to be tricky to answer. However, after reading this blog, I came to know as to what exactly is expected as an answer. Now, I am able to answer this question with ease. Thanks for the tips shared by you. Very helpful interview questions. Thank you Digital Vidya. This is great and full of knowledge. Thanks a ton. I was looking for similar information because in next week my interview is coming up so found this article on the net and i think this article gives you clear idea of what you should be doing in panel interviews , so thanks a lot for this wonderful article. Going to bookmark this for sure. I found this question difficult to answer till the point when I went through this blog. This one has got some really useful tips to answer this question.Thank you so much. Download Social Media Interview Questions and Answers Guide & Complimentary access to Orientation Session!